Discover Hwange is brought to you by Zambezi Eco-Tours in partnership with Backpackers Bazaar, an established local independent travel agent based in Victoria Falls, and other selected tourism agents and providers across our area of operation. We're a 'one-stop-shop' offering you one contact point for your bookings, and as an online operation, we keep our costs as low as possible. But we still believe in quality customer service and high standards. Zambezi Eco-Tours believes the tourism industry owes a debt to the environment - the landscapes, wildlife and communities which support it - and champion ecotourism principals as a method of achieving grass-roots benefits. We're a new online initiative aiming to encourage everyone to adopt ethical ecotourism principles, from the operator delivering the tourism service, to you, the tourist. Zambezi Eco-Tours aims to operate with a neutral environmental footprint - minimising the impacts of our activities and offsetting those that remain through supporting grass-roots community and conservation projects. We're proud to be the first Victoria Falls based agent to operate on this basis, but will be even prouder when everyone else joins us! Zambezi Eco-Tours aims to minimise the environmental impact of its operations and services (for example our webservers are supported by renewable solar power), and encourages tourism accommodation and activity providers to do the same. We believe everyone has a responsibility to minimise the environmental impacts of their operations and services. Zambezi Eco-Tours aims to work with tourism operators to increase environmental awareness and measure and monitor the 'environmental footprint' of tourism services, with the aim of minimising these impacts where-ever possible. Book through us and help increase our voice to lobby tourism operators to take their environmental responsibilities seriously. As part of our commitment to balance the environmental impacts of our tourism operations in Victoria Falls, we donate five percent of the value of your booking to specially selected local ethical and environmental good causes. For every $100 spent with us, we donate $5 to one of our specially selected local projects. You still pay the same base rate that you would if you booked direct with the operator, but with positive benefits to local community and conservation projects to offset the negative environmental impacts of your accommodation and activities. We also encourage you to match our donation as an optional extra payment - there's no obligation - but the more people who book with us, and the more who make the a voluntary donation, the bigger our voice in trying to 'green' tourism by asking tour operators and accommodation providers to make similar supporting contributions to good causes. Please note that we also do not believe that wild animals should be used in captive-interactions for tourists, and as such we do not sell elephant-back safaris or lion walks, both of which operate in Victoria Falls, and which we encourage you to also avoid. Whilst we acknowledge the role that commercial hunting has played in conservation in Africa, with large areas managed for overall wildlife benefit (but for the sacrifice of certain species), and forming important buffer areas between safari and community areas, we believe that ecotourism provides an alternative to hunting in generating revenue and jobs for local communities. We therefore do not support any organisations directly involved in commercial hunting. 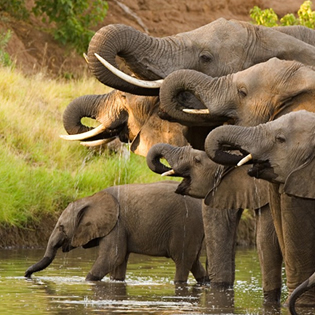 Help us have a bigger voice by booking your Victoria Falls, Hwange and Chobe travel options through Zambezi EcoTours. We specialise in tailor-made itineraries, combining the best that Hwange has to offer in safari lodges and specialised walking safaris. 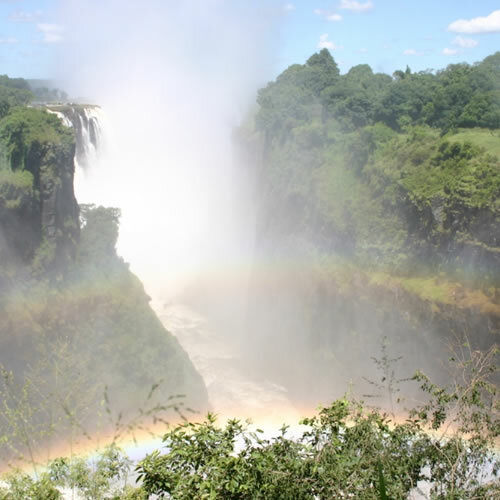 Based in Victoria Falls, Zimbabwe, we're ideally placed to arrange those local logistics. 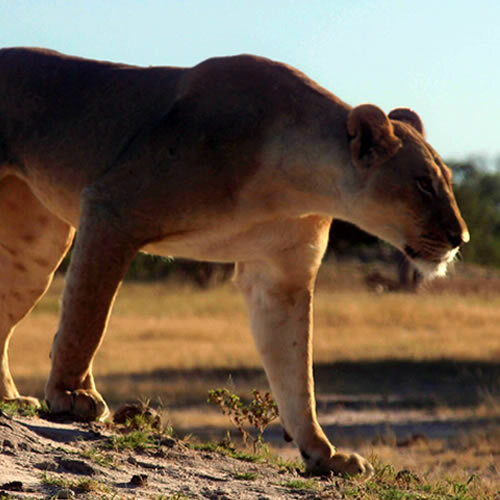 Interested in exploring Hwange National Park? Contact us for more information.